The term ‘sports injury’ in its most basic sense refers to any injury which occurs during sport or exercise. The most common causes of sports injuries are a fall or heavy blow, poor training practices or inappropriate training gear. Some can also be caused by inadequate warming up or stretching before and after exercise or even over-exercising beyond you current fitness level. Occur suddenly when playing sport or exercising such as sprained ankles and strained muscles or fractures. Signs of an acute injury are. Not being able to place weight on a leg, knee, ankle or foot. An arm, elbow, wrist, hand or finger that is suddenly very tender. A bone or joint that it is visibly out of place. By definition, chronic injuries have been troubling you for a month or more. The pain can be constant or intermittent and can prevent you from exercising. You may experience a dull ache at rest. Swelling can be intermittent (especially after exercising). Our therapists will take a thorough case history and perform a series of physical tests in order to reach an accurate diagnosis for your specific complaint. In some cases it may be necessary to assess the whole posture; back, pelvis, gait and feet. Poor foot mechanics (eg excessive pronation) can predispose a patient to knee pain or an injured hip can refer pain to the knee. Unequal leg lengths can contribute to back, knee or hip pain. Frequently, with reoccurring sports injuries, we find that another part of the body requires attention to prevent the injury from returning. Faulty equipment, such as poor trainers when running or the wrong grip width on a tennis racket, can contribute to injuries. Following your assessment you will be given advice on how to maximise your recovery and to prevent further injury such as. Osteopathic treatment to return the body to a point of balance which will help speed up your recovery. Tips on how to adjust your training to suit your particular body. Advice on warm up/warm down routines. The osteopath will assess and advise you whether further tests such as x-rays, MRI scans or blood tests are necessary. Don’t over do it; know your body’s limits. Cool down and stretch thoroughly after sports or workouts. Wear shoes that fit properly, are stable and absorb shock. Don’t try to do a week’s worth of exercise in a day or two. Learn to do your sport properly. Strive for a total body workout of cardiovascular, strength training and flexibility exercises. What to do if i get injured? 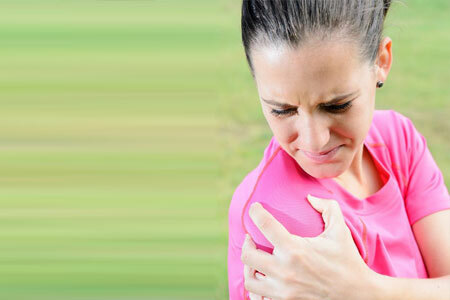 The injury causes severe pain swelling or numbness. You can’t put weight on the area. The joint feels abnormal, loose or unstable. If the symptoms are worsening. Unusual shape or a deformity. Signs of shock such as pale or clammy skin. If you are unsure about whether osteopathy is appropriate for you or you need some advice regarding your condition please ring our friendly therapists at Osteopathy Care who will be more than happy to help.